All these collet chucks (60mm, 95mm and 100mm) will fit any lathe with a suitable backplate including Myford, Unimat, Cowels, Peatol, Taig and our Sieg C0 lathes. * The 95mm collet chuck with a 55mm register will fit directly to the spindle flange of our Sieg C3 and SC3 (or similar) Mini Lathes (those fitted with an 80mm chuck) without any additional backplate or machining. 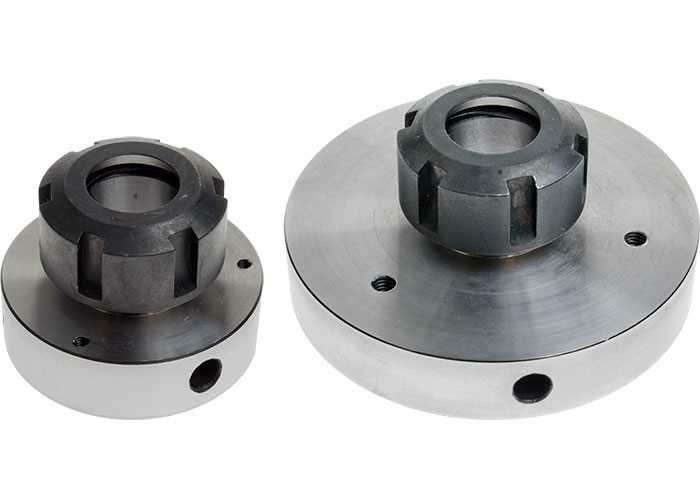 † The 100mm collet chuck with a 72mm register will fit directly to the spindle flange of other Mini Lathes fitted with a 100mm chuck as standard without any additional backplate or machining.